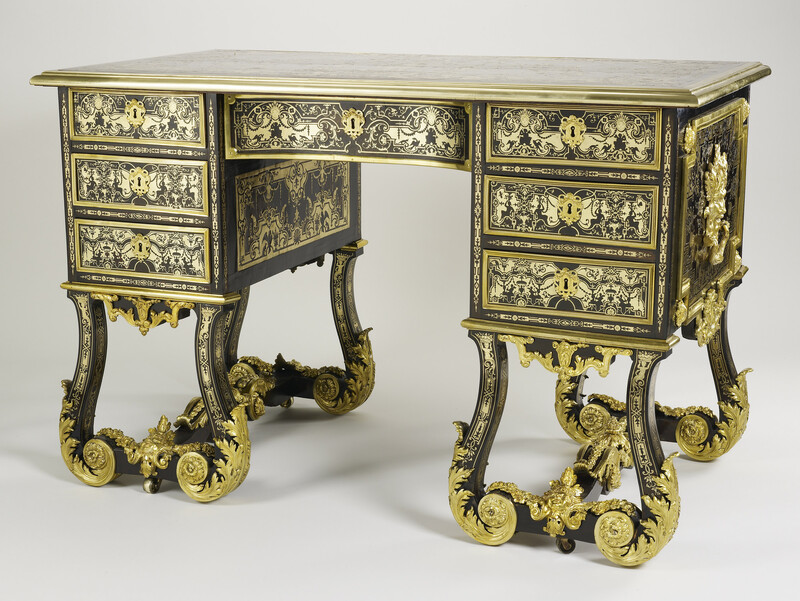 This bureau was used as a dressing table by George IV at the Royal Pavilion, Brighton. It is veneered in ebony and marquetry of engraved brass and turtle, known as ‘Boulle’ marquetry, and fitted with gilt bronze mounts. This particular example resembles Chinese or Japanese lacquer, thus fitting with the exotic scheme of the Pavilion.